Art Riley biography provided courtesy of �California Watercolors 1850-1970� By Gordon T. McClelland and Jay T. Last. 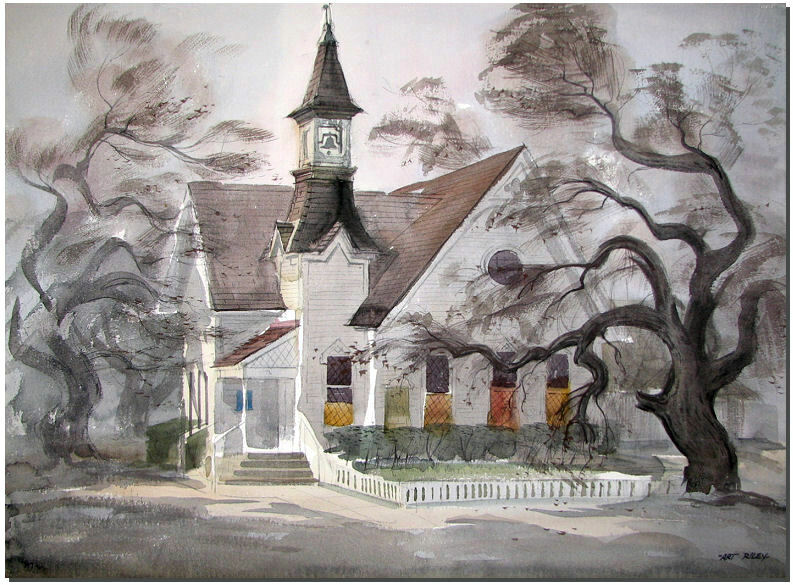 Member: California Water Color Society, American Watercolor Society. Art Riley settled in the Los Angeles area in the early 1930s. He studied watercolor painting with Barse Miller and then began working at the Walt Disney Studios. For nearly thirty years, Riley produced art work for animated feature films including background watercolors for Cinderella, Pinocchio, Snow White and the Seven Dwarfs and other classic Disney productions. When Disneyland was created in the 1950s, he painted watercolor illustrations showing what the park would look like. 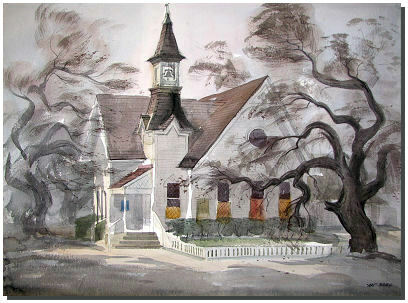 For many years, Riley also produced fine art watercolors that he exhibited nationally. They often depicted regional scenes near his home in Burbank and his second home on the Monterey Peninsula. Interview with Art Riley, 1983. Original California Style Watercolor Art Riley. Painting measures 22" x 30" and is in excellent condition. For more watercolors by Art Riley, click the "more by this artist" link at the upper right of this page. Please call 760-943-8706 or email info@calart.com if you have any questions.